How Is an Administrator in New Jersey Appointed When There is No Will? When there is no will established by a person, a personal representative or administrator will be appointed by the surrogate’s court. The first right to apply for the position of administrator is given to the surviving spouse but any heir of the decedent could be appointed. When one of multiple heirs wants to be appointed an administrator, all other heirs have to renounce their right to the appointed administrator. 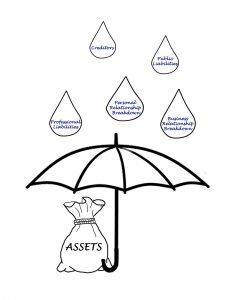 Usually a surety bond is required in order to cover the cost of real and personal property in the estate. Investigating veterans’ benefits, if applicable. Consulting with an experienced estate planning attorney can help you to name a personal representative or administrator today such that your family members are not left with a difficult decision of determining whether or not they will serve in this role. Before you start splitting time between two or more states, think about where you’d like to have as your primary place of residence because there are several different advantages to choosing one place over another. Then, after you have made this decision for yourself, be prepared to prove that the state you choose is really your home base. By age 61, many people say that they are free to choose where they want to live, according to the results of a study from Merrill Lynch. Life responsibilities like work or family often dictate these decisions prior to that time. This is why it is not that surprising to see retirees move at least on a part-time basis to a new location. 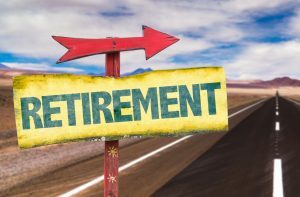 More than one-third of retirees, in fact, told Merrill Lynch that they have already relocated and 27% anticipated doing so. Making the decision about where you want to live is important. More than 80% of retirees intend to move to the South Atlantic. 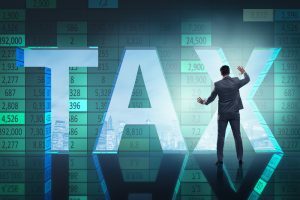 Since several states have no income tax and others have tax breaks on retirement or real estate taxes for older residents, this is something you should consider in your determination. Some states are well-known for going after individuals who claim that they are residents in other states to avoid having the financial obligations of claiming residency in the first state. Make sure that you keep all documentation to assist yourself with minimizing the consequences of these allegations. What Happens If the Executor Doesn’t Follow the Requirements of the Will? Appointing an executor is an important step to take if you want to protect your interests after you pass away. Choosing the right person to serve in this role is important because you need to place your faith in this individual. For your family members struggling to cope with your loss, the selection of an executor who doesn’t follow the will’s requirements can present problems beyond what they know how to handle, but there are options. Probate proceedings are judicial, so there is a judge who will oversee the process. A court may appoint a personal representative in your estate if you do not have one, and the court will maintain jurisdiction over the matter in this situation. There are two major types of estate administrations; supervised and unsupervised. The court will be involved in every stage of a supervised administration. Prior to the action taken by the personal representative, that person would need an order from the court. Unsupervised visitation, however, requires far less involvement from the court when compared with supervised administration. Once the estate has been completely administered, the personal representative issues a final account in with court. Parties have a maximum period during which they can object and it is strongly recommended that you have a probate lawyer to assist you with this process because you will need someone who is familiar with the law and who can help you navigate the complexities of estate planning and administration. Consulting with a lawyer immediately is very valuable for anyone who finds themselves in this situation. Comprehensive estate planning is something that any person can benefit from, regardless of the size of their estate. 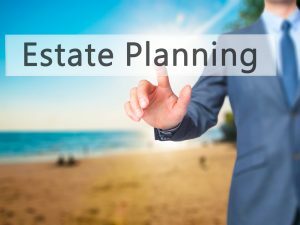 It is a mistake to assume that you do not have to participate in estate planning because you have a few basic documents such as a will in place. Your will could be outdated or even legally invalid depending on whether or not you have moved to new states or incorporated new things into your life since you last put it together. Consulting with an experienced attorney is the best way to get a holistic approach to your estate planning. One commonly overlooked but increasingly important component of estate planning has to do with your digital estate. What happens when you pass away to your email accounts, bank accounts, and even your social media. Will these disappear? Are they deactivated? Or will they exist in the Cloud forever? The answers to these questions lie in the domain of digital estate planning and scheduling a consultation directly with an experienced digital estate planning lawyer can help you to accomplish a broad perspective on what you need to include. With so much vital information stored online, you simply cannot afford to neglect your digital estate planning opportunities. The nature of estate planning itself has changed and while you still may benefit from some of the more traditional documents, you can also benefit from considering what plans you’ll put in place to protect the assets you have online or to deactivate them. Appointing another individual to step in in this role is a common way of addressing concerns with your digital estate but you need a plan that is designed for flexibility and fast action. 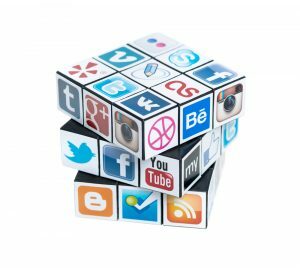 Consulting with a lawyer who is knowledgeable about digital estate planning can help you to craft a plan that is in line with your unique needs. The nature of estate planning itself has changed and while you still may benefit from some of the more traditional documents, you can also benefit from considering what plans you’ll put in place to protect the assets you have online or to deactivate them. Appointing another individual to step in in this role is a common way of addressing concerns with your digital estate but you need a plan that is designed for flexibility and fast action. Consulting with a lawyer who is knowledgeable about digital estate planning can help you to craft a plan that is in line with your unique needs. One of the primary purposes that many people engage in the estate planning process is to ensure that taxes are minimized and that their financial matters are handled as they wish. However, you need to consider planning for purposes other than taxes. For example, you will need to think about designating the best executor or trustee because this is a crucial piece of ensuring that the administration of your estate goes smoothly. 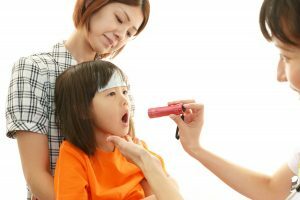 It might also be important to update materials over time for any special needs provisions if any of the beneficiaries is receiving government assistance. If there is a change in your family situation, this could also trigger updates in your estate plan. Failing to incorporate this could lead to confusion or even conflicts after you pass away. If the size of your estate has changed, it’s also a good idea to schedule a consultation with an estate planning lawyer to discuss your overall financial distribution plans. 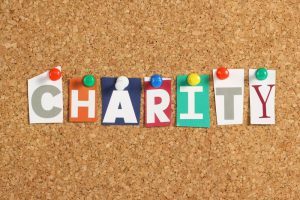 The current gift tax exclusion may allow you to provide gifts to someone while you are still alive and can help to reduce the size of your estate and give advantages to your beneficiaries in the short term. 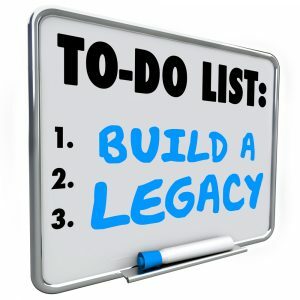 Consulting with an experienced estate planning attorney can help you accomplish not just your tax planning goals but also the other unique considerations you will want to have including passing things on to philanthropy, how to do your beneficiary designations on things like retirement forms and other materials are relevant for estate planning purposes. No one is able to get out of this world alive but you can make it easier on the loved ones that you leave behind. If you have minor children or accumulated assets, you still need to do some estate planning. The more complicated your life and businesses, the more complicated your planning must be. Sadly, however, many people choose never to conduct their estate planning. 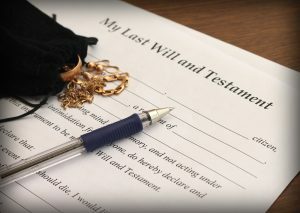 A study completed by Caring.com found that just over 40% of adults in the United States have completed basic estate planning documents like a living trust or a will. For those with children younger than age 18, that figure is even lower, with only 36% having put an end of life plan in place. Many parents work as hard as possible to ensure that their children are safe in all aspects of life but failing to have appropriate estate planning documents like a living trust or a will could compromise their ability to accomplish their goals or put them in a very difficult situation should something happen to you. Without a will in place, you are leaving behind a difficult and potentially expensive situation to be handled by whoever the court appoints. 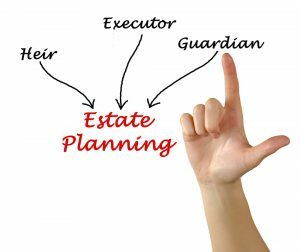 Many parents will put off estate planning because they are not sure about who to name as the guardian of their children and you assume that it is extremely difficult to talk about your own mortality. Blended families, however, and the complexities of modern life makes it even more important to put together an estate plan that considers your unique needs. Grandparents, for example, may not be a good choice as the guardians of your children simply because of their age but no matter who you choose to serve as guardian of your children, you need to have a conversation about what that entails and whether they are comfortable taking on that role. 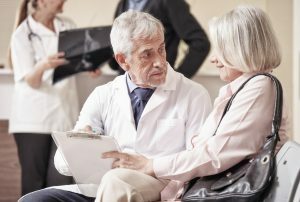 Planning your wishes for end of life concerns is never an easy prospect to consider. However, it gives you clarity on how to live your best and most purposeful life as well as leaving behind powerful gifts for your loved ones. Many people put off the process of estate planning because they find it to be overwhelming to think about their own mortality. 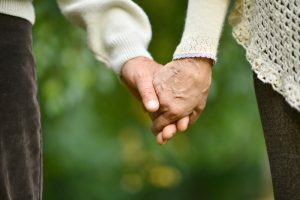 Planning ahead for end of life and leaving your loved ones better prepared, however, can make this difficult transition easier for your family members. The worst thing to do to your loved ones is to leave unclear wishes that prompt them to file lawsuits, contesting your will or other estate planning documents after the fact. A lack of clarity can lead to confusion and frustration among your family members that ultimately causes greater legal conflicts that are both expensive and time-consuming. Making your plans and sharing your wishes with the help of an experienced estate planning lawyer are some of the valuable steps that you can take to empower your own future. Do not hesitate to get help from an experienced estate planning lawyer if you have questions about how to articulate your wishes and the best strategies and tools you can use while you are still alive and well to protect your assets and your loved ones. You might assume that you are still in relatively good health and facing low chances of being put inside a nursing or retirement home. However, new information shows that more than 50% of Americans between the ages of 57 and 61 will spend some time in a nursing home. That’s according to the RAND Center for the Study of Aging. According to that study, the reason for the increase in the number of people in nursing homes has to do with hospitals discharging people faster and increasing the stays in post hospital rehabilitation centers. Once someone has been in the hospital for 3 days, Medicare will cover the cost of post hospitalization rehab for up to 20 days and then a portion of the cost for up to 100 days. With more than 56% of people between the ages of 57 and 61 spending a minimum of one night in a nursing home during their lifetime, this study found that 32% of them will pay anything out of pocket. Anyone with 4 or more children spent about 38% less in nursing home costs than those without children and having daughters was also linked to a decrease in the nursing home cost overall. If you have questions about how long term care, estate planning, and retirement planning work together to help you accomplish your goals, contact an experienced New Jersey estate planning lawyer today. 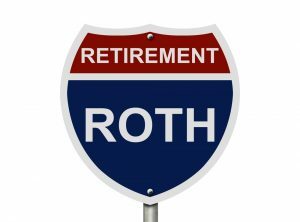 Looking down the road to retirement? You’ve probably considered a broad range of issues, including what you’ve saved so far, what you might need for health care, and how you intend to live during retirement. There’s no doubt that you are thinking ahead about your retirement planning goals when wanting to plan for your future. There are key factors that contribute to your mental health status and a new study has identified that your retirement savings and other issues can affect how you feel about your life in general. Some of the other elements that factor into the overall perception of how your future is perceived include longer lifespans, the greater reliance on defiant contribution pension plans and the questionable state of social security. Many different households including people who are aging inside are dealing with mental health concerns such as anxiety and depression. 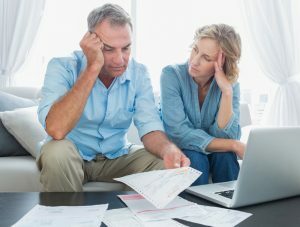 Medicare Research Institute, in a study that was published in Health Economics, identified that psychological distress was linked to a 47% higher likelihood of a married couple withdrawing money from their retirement account. And it was also connected to married couples having approximately $42,000 left in retirement savings accounts. Key factors that influence this can all have an impact on a person’s overall psychological makeup. Thinking ahead about your retirement and how it works in conjunction with your intentions for your estate planning, is an important component of planning for your future. Your retirement plan should look at your long-term goals and it should also be something you think about years in advance. When you’re getting close to retirement, it also makes sense to schedule a meeting with an estate planning attorney to talk about your needs as a whole.